One of the most hotly debated topics around cryptocurrencies is what people can actually purchase with Bitcoin and its altcoin brethren. With Bitcoin’s 10th birthday just around the corner, it’s worth taking a look at some of the most outrageous and expensive things people have been able to purchase with BTC. We have certainly come a long way since the infamous Bitcoin pizza incident, where Laszlo Hanyecz ordered two pizzas from Papa John’s for 10,000 BTC back in 2010. It goes to show how much progress has been made in eight years — especially when you take a look at how much you’d pay for those same two pizzas with Bitcoin today. Given the gradual rise in value of Bitcoin over the years, early adopters who got their hands on substantial sums of the cryptocurrency found themselves with an incredible amount of wealth in the last two years. Let’s explore the wide variety of worldly possessions people can buy with their hoards of cryptocurrency. Any crypto enthusiast is familiar with the phrase ‘When Lambo,’ as the luxury vehicle has become somewhat of a cult icon for crypto-made billionaires, who have bought the sports cars with their crypto-wealth. While a Lamborghini may be the goal, people have been able to purchase a wide variety of vehicles, from affordable hatchbacks to luxury sports cars, with cryptocurrency for some time now. A luxury car dealership in Japan now accepts Bitcoin as a payment method through renowned cryptocurrency exchange BitFlyer. According to the company, customers can easily pay for their next prospective vehicle in a matter of minutes — which certainly beats conventional means of buying vehicles, like obtaining finance through a bank. While this dealership is driving forward a new payment model, it’s not the first time people have been able to buy cars with crypto. In December last year, a Manchester car owner listed a gold-colored Rolls Royce on Autotrader, which could only be purchased with Bitcoin. BlockShow Asia 2017 also provided the stage for BitCar to promote their platform, which allows people to buy and sell exotic cars like Lambos using cryptocurrency. The latest company to begin accepting payment in crypto is American dealership Post Oak Motor Cars. The Rolls-Royce, Bentley and Bugatti dealership now accepts Bitcoin and Bitcoin Cash from clients. Owned by billionaire Tilman Fertitta, the company offers customers this facility around the world. Astonishingly, some people are even willing to accept cryptocurrency for property, an asset class that has historically considered a good store of wealth and investment. In this particular section, there is big divide between what you can buy with cryptocurrency, from a modest home to an entire tropical island. Starting off with that piece of Caribbean paradise, a plot of on Union Island in St. Vincent and the Grenadines went up for sale in Bitcoin late last year. The £5.3 million, 13-acres plot was only up for sale in Bitcoin, with the owners asking for 570 BTC at the time. Investors looking for property in the Middle East had the chance to buy a number of apartments in Dubai. A couple of British entrepreneurs listed 50 luxury flats for sale in Bitcoin in February this year, and amazingly all of those properties were sold. Incredibly one of the investors has bought 10 of the properties with Bitcoin. We’ve also seen a number of mansions up for sale across the world, including a luxury mansion in Notting Hill in London, with the investment firm selling the property only taking payment in Bitcoin. Across the Atlantic Ocean, an early Bitcoin investor listed his Miami mansion for sale, making payment in Bitcoin an option for prospective buyers. It’s not all about million dollar mansions though, as a home in Grimsby on the North Coast of England was put on sale for 18 BTC in October 2017. For the lovers of the finer things in life, it is possible to buy expensive jewelry with cryptocurrency. Diamond retailer Samer Halimeh New York has been accepting crypto payments for jewelry since September 2017. The move is an interesting one, as it was sparked by an increase demand from customers looking to buy jewelry worth more than $1 million. Reeds is another American jewelry retailer that has begun accepting payment in Bitcoin. Their offerings go further than just conventional jewelry, as customers are able to buy gold ingots and loose diamonds with the cryptocurrency. This essentially allows cryptocurrency holders to diversify their investments, should they choose to take an easier way by obtaining traditional stores of value like gold and diamonds. Bitcoin has also been used by some to purchase a wide variety of tickets, from big events to good old plane tickets. Those that have been bitten by the travel bug and have a substantial amount of Bitcoin in their possession can also travel the world using their cryptocurrency. CheapAir is a popular website that has been offering customers the ability to pay for their airfares using Bitcoin, Bitcoin Cash, Dash and Litecoin. While we’re on the topic of travel, some of the world’s richest have been lucky enough to attend world-renowned entrepreneur Richard Branson’s annual blockchain summit on his very own Necker Island. The Necker Blockchain Summit is an invite-only event which brings together some of the greatest minds to innovate and foster the growth of blockchain technology around the world. If you want to check out where the richest in the world — including crypto-made millionaires — hang out, check out Cointelegraph’s prestigious list. Perhaps one of the most intriguing ways you can spend cryptocurrency is by enrolling at a university and then paying for your tuition fees with Bitcoin. Cumbria University in England has been allowing students to pay for their education with Bitcoin since 2014. Cointelegraph has confirmed that this payment option is still available, although the popularity of the option has waned in recent years. The University of Nicosia in Cyprus was the first in the world to offer students the option of paying fees with Bitcoin. You can also do the same at the European School of Management and Technology, which began accepting payment in BTC in 2017. A common theme in the arguments against cryptocurrency adoption has been the obvious barrier to entry when it comes to day-to-day use of digital currencies. Many argue that it is difficult to actually use cryptocurrency for everyday items like grocery shopping or other menial expenses. While this may be the case, there have been moves in the right direction in all sorts of places. For one, the ever-growing number of cryptocurrency ATMs, which allow people to draw cash in exchange for crypto, makes it possible to use your crypto to pay for goods in a fairly quick manner. What is more, the crypto ATM market is expected to grow exponentially in the next five years, according to reports published in September. 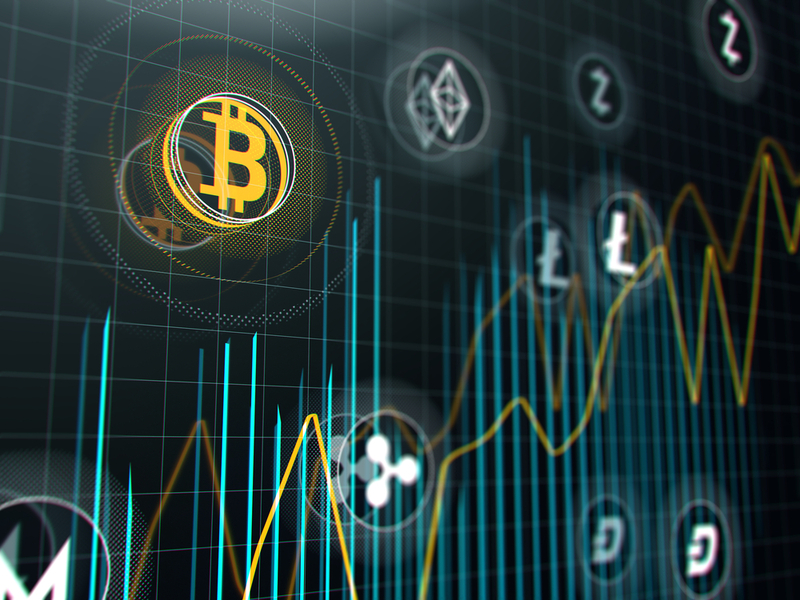 While the crypto markets have endured a testing year so far, these type of developments show that there is a steadily growing market of consumers that are looking to actively use cryptocurrency to settle payments. Whether it’s cars, property, flights or a ticket to the Super Bowl, cryptocurrencies can and have been the answer for some. The only question is when this will snowball into an everyday phenomenon.